Today the post is more of a View In The Conservatory. Over the last few days, with the glorious weather that we have been “suffering” (tongue firmly in cheek), the temperatures have been as high as 41 degrees. While that is far, far too high for a wilting pansy such as myself there has been at least one plant that likes the conditions. 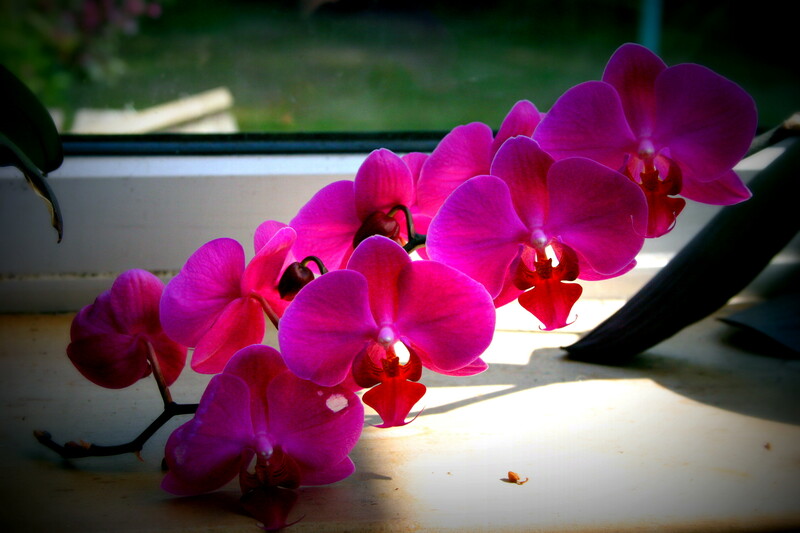 We have three orchids that we have, so far, failed to kill following their initial blooming. In fact we one plant with two fresh shoots growing rapidly and we have this one which is just gorgeous. You can see why I have entitled the photo “Pretty Maids All In A Row”. This entry was posted in Local (To Me !!!) and tagged conservatory, nature, orchid, plants. Bookmark the permalink.